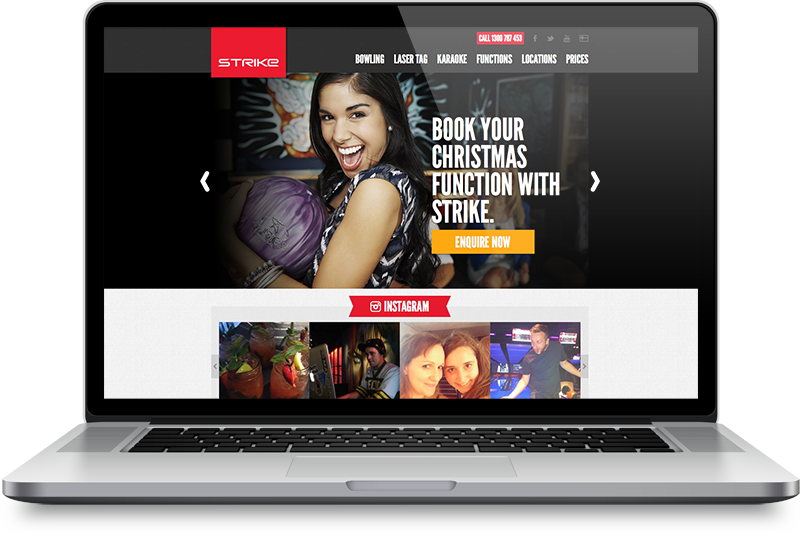 Strike Bowling had begun the process of refreshing their overall digital presence starting with their national website. 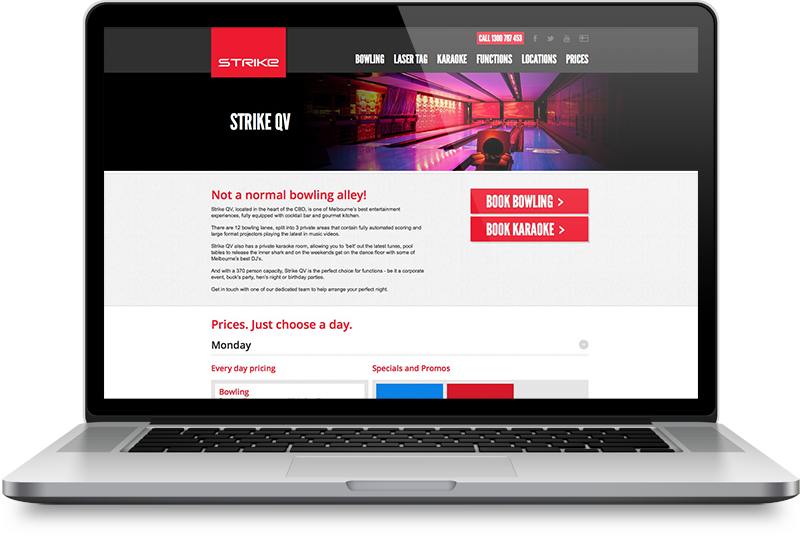 I was involved in redesigning the Strike website design and user interface design working alongside the creative team at Loud & Clear. 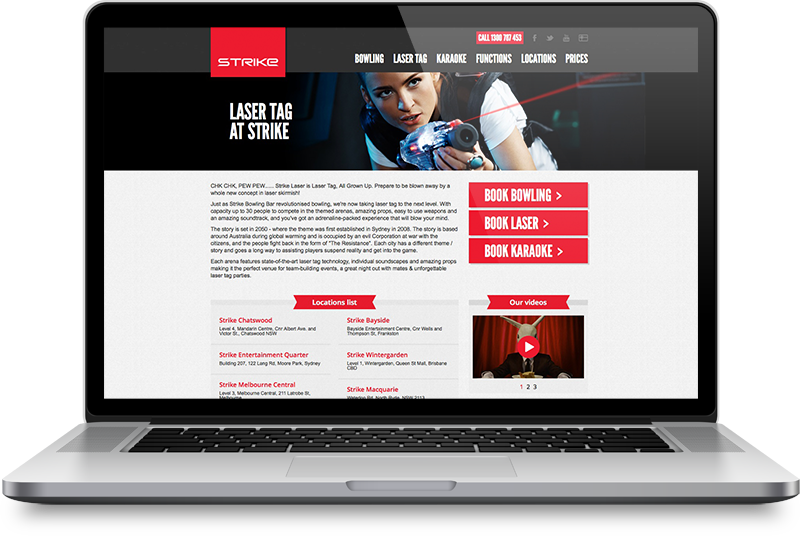 The design solution required a responsive design to ensure consistent experience across Desktop, Tablet and Mobile devices. 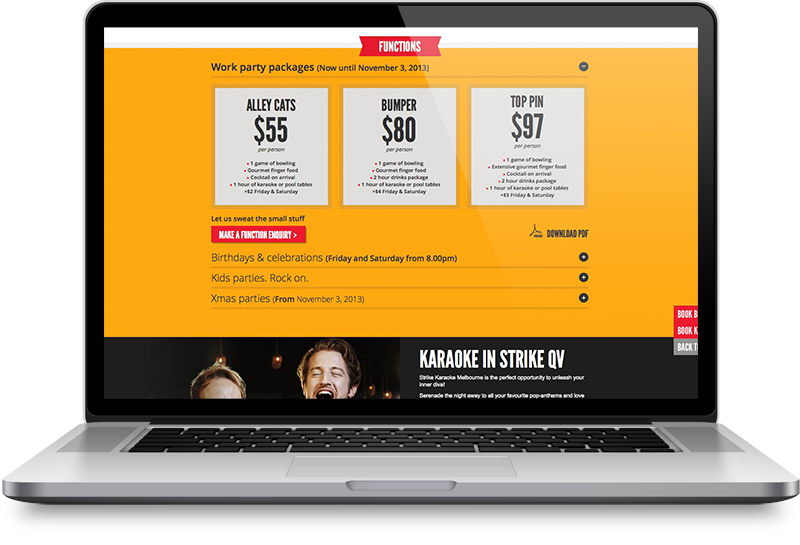 An overall rejuvenation of the look and feel included graphic devices, user interface elements, extended colour palette, typographic treatment and navigation and user experience enhancements to enhance booking capabilities to name but a few. 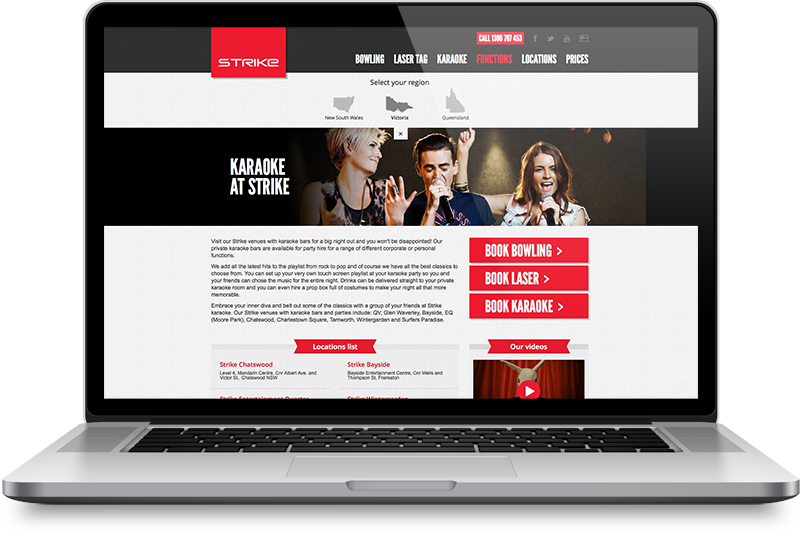 The design was also required to marry in with a rebuild of Strike’s existing custom Content Management framework which included modular custom layouts and drag and drop techniques to allow tailored delivery of content, whilst retaining visual brand consistency and a flexible and intuitive process for managing content. 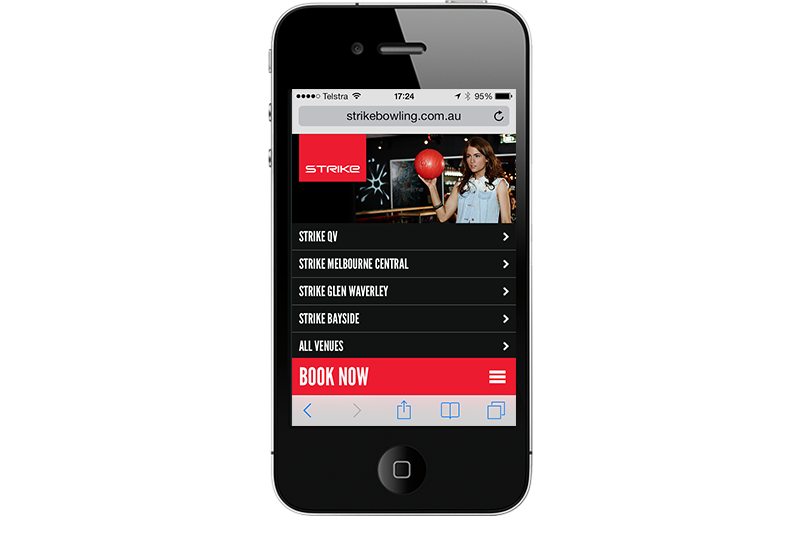 The fresh and engaging look and feel was created utilising a grid based layout, clean and accessible typography, subtle depth, dynamic photography and the introduction of intuitive geo-location navigational devices.